Many of our suppliers do not announce sales in advance, so we have found that e-mail is the best way to get the word out. You will know as soon as we know! If you sign up for sales notifications. You will recieve sales notices before we can even update the website or our product signs! 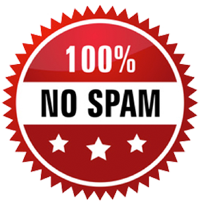 We do not like spam any more than you do. Signing up for this email list tells us that you only want to be told when West Coast Metal Buildings sales are starting or stopping. We do NOT share or sell your information. You have the option to signup for our Blog where we post tips, photos, new products, and about the great Idaho Outdoors!